On this site, I've mentioned self-determination theory often. Many studies have shown that being able to make choices which are based on your interests and values has many benefits for people. In nearly all these studies questionnaires and behavior observations were used but also more objective measures such as performance measures. There have been relatively few neuroscientific studies into the effects of making self-determined choices. This type of research is now coming off the ground. This enables us to gain insight into which brain areas and mechanisms play major roles in autonomous functioning. Murayama et al. (2014) studied the effects of self-determined choice using functional magnetic resonance imaging (fMRI). Participants in their experiment played a game-like task in which they used a stopwatch. In one condition they could choose the stopwatch themselves (self-determined-choice condition); in the other condition they could not choose but were given a stopwatch (the forced-choice condition). Although being able to choose the stopwatch or not was not relevant for the task, participants who had been allowed to choose scored significantly higher than those who weren't allowed to choose. Further, the fMRI analyses showed something interesting about a brain area which is called the ventromedial prefrontal cortex, vmPFC for short. The prefrontal cortex is the brain area which plays a key role in making decisions, planning, social behavior and impulse control (read more about the PF here). 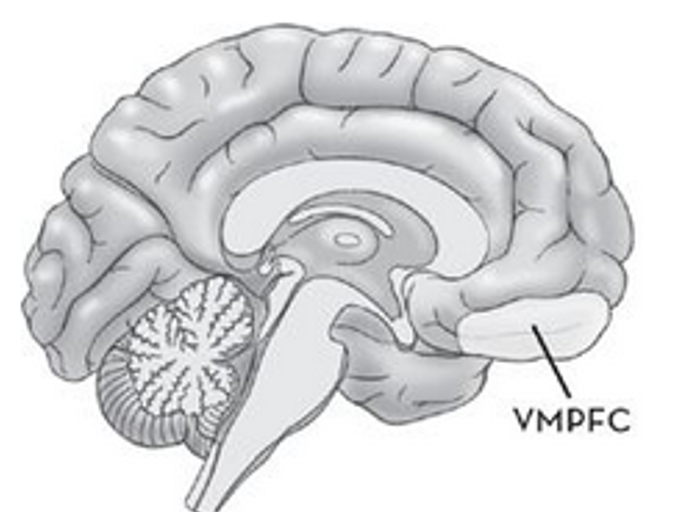 The vmPFC is a part of the prefrontal cortex which plays an important role in emotion regulation. 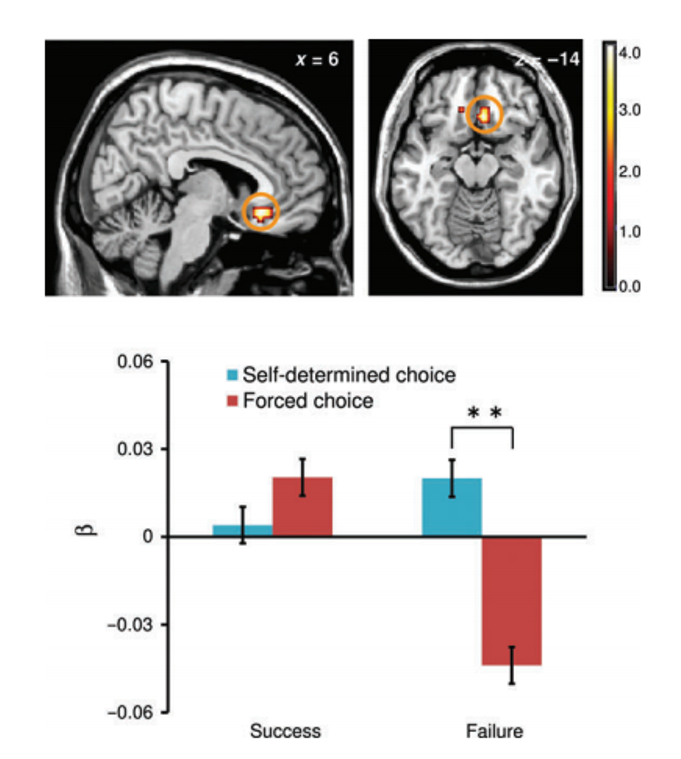 The fMRI analyses showed that failure feedback led to decreased vmPFC activity in participants in the forced-choice condition but not in participants in the self-determined-choice condition. It thus seems that negative feedback or adversity leads to loss of motivation when people haven't been able to choose but not when they were able to choose. Also, this vmPFC resilience was associated with better performance on the task.